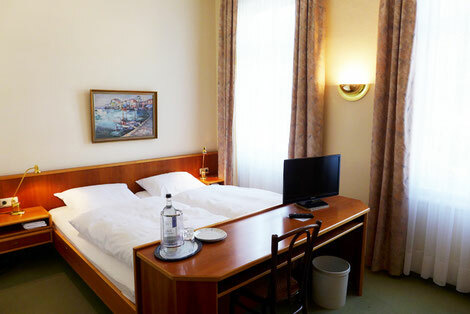 The Hotel Russischer Hof offers bright and cozy rooms. 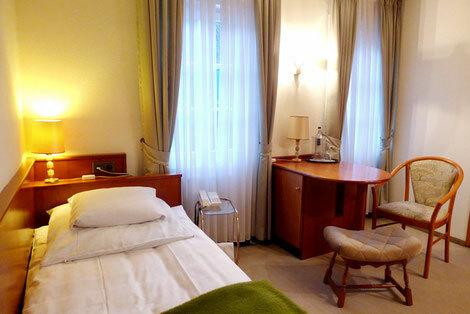 Our single and double rooms are comfortable and contemporary. The rooms are bright and functionally equipped with separated bathroom area with shower and toilet, hair dryer, desk, direct dial telephone, Satellite Flat Screen TV, refreshing minibar and complementary WiFi. Some of our rooms also have a balcony or terrace. The lobby also has a lounge area with an open fireplace, television, free wireless Internet access and daily newspapers. Parking in our hotel parking lot is free for our hotel guests. All room prices are per room and night incl. Service and VAT. 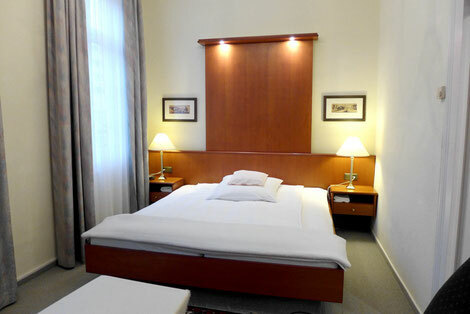 The room rate depends on the size of the room and the length of the stay. Breakfast is included in the room rate. 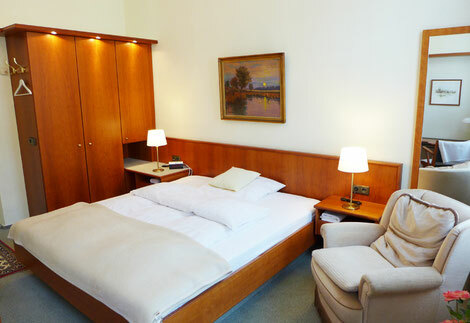 The extra bed for a third person in a standard double room incl. Breakfast is € 25, - per night. Children up to 5 years free of charge when sharing with parents unless extra bed (cot € 25, - per night) is required. Parking on our private hotel parking lot is free of charge for hotel guests. For a recreational holiday in Schlangenbad a city tax is charged by Staatsbad Schlangenbad GmbH, which is to be paid separately for the overnight price. For further information and prices, please refer to the website of Staatsbad Schlangenbad GmbH. You are entitled to withdraw from the contract at any time prior to departure. 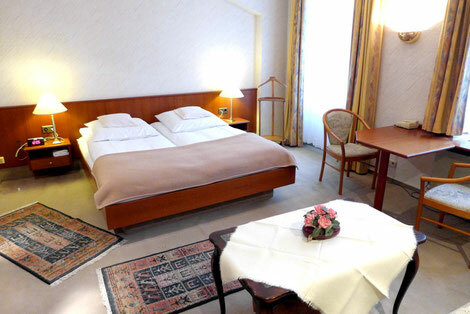 In your own interest, the cancellation should be made by e-mail or by phone to the Hotel Russischer Hof. The cancellation of rooms is free of charge up to 1 day before arrival. If we wait in vain for your arrival and can not re-rent your room, we charge 100% of the room rate. You can pay your hotel bill with EC-Cash or in cash. 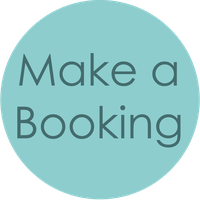 Rooms are available from 2 pm on the day of arrival and until 11 am on the day of departure. Upon availability and prior arrangement, we can offer you an earlier check-in or a late check-out. If you can only arrive after 6 pm, please contact us in time to guarantee your arrival. We ask for your understanding that we can not confirm a reservation of certain rooms or floors. However, we assure our best efforts to meet your reservation request. Dogs sleep with us for free. However, we ask you to bring a dog basket or sleeping pad.